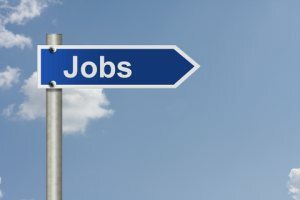 The popular job search engine SimplyHired.com has reported in its May 2012 Employment Outlook report that job openings are down 5.4 percent across the nation, over-the-month and down 6.9 percent over-the-year. Job competition remained flat for April 2012 resting at three unemployed persons for each job opening. All top 50 metro areas experienced decreased job openings, especially in the Cleveland-Akron, Ohio (-11.9 percent), Grand Rapids, Michigan (-11.3 percent), and West Palm Beach, Florida (-10.5 percent) areas. However, some areas, including Las Vegas, Orlando, Detroit, Philadelphia, and Chicago saw a drop in job competition despite lagging hiring rates. Two-thirds of industries experienced job opening declines in April with agriculture (-14.6 percent), technology (-10 percent) and healthcare (-9.9 percent) leading the pack in this category. Of the remaining industries, the military recorded the greatest increase in jobs at 17.8 percent. This industry was followed by non-profit (6.8 percent), hospitality (4.3 percent), and government (3.8 percent). Farmers, fishers, and forestry workers experienced a major job boom for the month up 19.3 percent over March while financial specialists and accountants saw a 12.9 percent increase. The pair were the only two occupations to records double-digit growth in April. Decreases in job openings were experienced in 20 of the 24 occupation categories with sales representatives suffering the greatest decline at 38.7 percent over-the-month.